List of all Shark Tank contestants websites with all episode's from season three. Who made a deal with the Sharks? What Shark invested the most of money during the season? How much money did each Sharks invest in Season #3? Chord Buddy - Travis Perry asking for $125,000.00 for 10% stake. DEAL- Gets deal with Robert for $175k for 20% of company. You Smell Soap - Megan Cummins is looking for $55k for 20% of business. DEAL- Gets deal with Robert for $55k with a $50k salary for a 20% stake in the company. 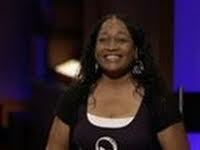 The Painted Pretzel – Raven Thomas needs $100,000.00 for 25% stake in the company. DEAL Mark Cuban loves the idea and agrees to what she wants and makes a fast deal. Esso Watches – Ryan Naylor is looking for 35k for a 20% stake in the negitive ion watches. NO DEAL. Readerest Specsecure – Rick Hopper needs $150k for a 15% in his idea. DEAL - Lori offers him $150k for 65% of the business. He finally agrees. At current count over $3 Million worth have already been sold making him a millionaire. The Last Lid - Kevin and Melissa Kiernan are asking for $40,000.00 for a 20% stake in their idea. DEAL -Daymond John makes deal for 40k with 60% of the company. Ledge Pillow - Amanda Schlechter is asking for $30k for 25% stake in her business. NO DEAL. Talbott Teas - Steve Nakisher & Shane Talbott are looking for $250k for a 20% stake. DEAL - Kevin O'Leary finally makes a deal for the $250k for 35% equity in the tea business. M3 Girl Designs - Maddie, Margot and Diane Bradshaw asks for $300k for a 15% equity stake in the company. DEAL - Lori, Robert and Mark give them the $300k for 30% equity and Luxury seats at the Dallas Mavericks home games. The Swilt - Ivori Tennelle is looking for $30k for 35% stake in the company. NO DEAL. Show No – Shelly Ehler needs $50k for 25% stake. DEAL - The Sharks are swimming all over this one as they all take a bite. Lori ends up making the final deal for $75k and 25% stake. Puppy Cake - Kelly Chaney is seeking $50k for a 25% stake. NO DEAL. The Air Cork / Wine Balloon - Update - Eric Corti needs $40k for 30% of his idea. BIG DEAL - Lori and Mark buy the entire wine balloon business for a combined $400,000.00 and give Eric his 2% royalty he was seeking. "SHARK TANK SUCCESS UPDATE FROM SEASON 1"
Notehall - D.J. Stephan & Sean Conway that first made a deal with Barbara Corcoran in Season 1 that buy and sell class notes and study guides has been sold. The online textbook rental store Chegg.com bought Notehall.com and made both Stephan's and Conway instant millionaire's. A Very Successful Shark Tank Deal for Corcoran as we'll. The Original Profender - Tony Devine needs $75k for 15% of his clever basketball training devise invention. NO DEAL. Nardo's Natural - Organic Skin Care Products - The Nardo Brothers want $75k for a 12% stake in their product. DEAL- Barbara Corcoran makes a deal for the $75k and 50% of the business as long as they change the name. 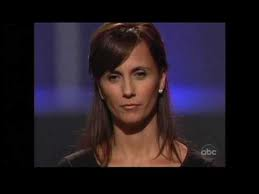 Rent-A-Grandma - Todd Colby Pliss came into the Shark Tank seeking $150k for 20% stake in the Rent A Grandma Biz. NO DEAL. Litter - Sisters Rachel Mann & Mackenzie Burdick was asking for $80k for a 51% stake in their Jewelry Line. DEAL - Mark Cuban and Daymond John partner up and give the sister's exactly what they were looking for. The Ave Venice- Nick Romero asks for $125k for a 15% stake in their custom clothing line. NO DEAL. Bark’em’s To Go - Blake St. Clair is looking for a cool $100k for a 51% stake in the company. NO DEAL. Brewer’s Cow Ice Cream - Steve Albert, Larry Blackwell and Jason Conroy are asking for $125k for a 15% for their liquored-up ice cream. NO DEAL. GoGo Gear - Arlene Battishill & Desiree Estrada are asking for $300k for 15% of the business. DEAL made with Daymond John for the $300k with a 50/50 partnership. I Want to Draw a Cat for You - Steve Gadlin wants $10,000.00 for a stake in his unique business. BIG DEAL - Mark Cuban makes deal for $25k for a 33% interest in the business. Salespreneur - Dave Greco needs $90k for a 40% stake his sales company. NO DEAL -He couldn't close the deal even after Mark Cuban offered him want he was asking. Vegas Magic Show - Rick Smith wanted $1.5 Million for a 15% stake in his magic show. NO DEAL - With such a high valuation he ended up making the Sharks money disappear of the table rather fast. Invis-A-Rack - Donny McCall is looking for $100k for a 10% stake in the company. NO DEAL. Blondie's Cookies - Brenda "Blondie" Coffman was looking for a $200k investment for only a 3% stake in her cookies. NO DEAL. ViewSport - Ben Wood was asking for $500k for a 20% stake in the company. NO DEAL. The Sullivan Generator - Mark Sullivan was looking for 1 Million Dollars for 10% valuating his business at a cool $10 Million. He claims his product generates a by-product of Gold. NO DEAL. Copa Di Vino - James Martin returns to the Shark Tank for a rare second chance. This time he is asking for $300k for 5% equity in the business. This time around the company has grown to $5 million in sales. NO DEAL - Obviously James had no intentions of making a deal with the Sharks but sure got a lot of good publicity. Tower Paddle Boards - Stephan Aarstol was asking $150k for a 10% stake in the company. DEAL - Mark Cuban gets the deal for $150k for a 30% stake and the first right of refusal on any future businesses Stephan may start in the future. Instant Lifts - Nick & Penilopee Larosa needed $100k for 25% stake in their sagging skin business. NO DEAL. Vinamor - Gary DeJohn wants $75k for a 30% stake in his wine aerator business. NO DEAL. Miso Media - Aviv Grill wants $300k for a 5% stake in his musical software business. DEAL - Mark Cuban makes a deal for the full $300k but gets 8% of the company. Readerest – Follow up with Rick Hopper's magnetic eye glass holder. Huge Deal with Lori Greiner. Clean Bottle – Bill Walton & Dave Meyer was asking $60k for a 5% stake in the bottle biz. DEAL - The Sharks all want a piece of this deal and several offers were given. In the end Mark Cuban goes into the water business for $60k with a 8% equity. My Wonderful Life - Nancy Bush and Sue Kruskopf are asking for $100k for a 10% stake in the pre-planned funeral business. NO DEAL. Business Ghost - Michael Levin was asking $200k for 10% of his ghost writing business. NO DEAL. EZ VIP - Alashe Nelson wants $150k for 15% of a profitable pre-paid night on the town business. BIG DEAL - A lot of Sharks circling. They all wanted a bite as long as they could partner up. In the end Mark Cuban and Daymond John walk away with the deal. Kisstixx - Dallas Robinson and Mike Buonomo were asking for $200k for a 20% stake in their unique lip balm. DEAL - Mark Cuban (again) makes a deal for the full $200k and gets 40% of the company. The Smart Baker - Stephanie and Daniel Rensing want $75k for a 25% stake for their baking business. DEAL - Barbara Corcoran makes deal for $75k for a 40% stake and a 5% royalty fee until she brakes even. The Heat Helper - Lyle Schuette wants $100k for a 50% stake for his home heating invention. ScotteVest - Technology Enabled Clothing - Scott Jordan wants $500k for a 15% stake. NO DEAL. Cougar Energy Drink - Ryan Custer was asking $150k for a 30% stake from the Sharks for an energy drink for older women. NO DEAL. 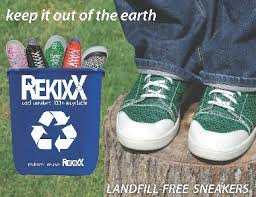 Remyxx - ReKixx Sneaker's - Gary Gagnon needs $50k for a 10% stake in his recyclable sneakers business. DEAL - Damond John gives him $50k for 80% of the company. UPDATE: Daymond backed out of the deal after the show mainly because he didn't want to take over Ryan's business. Damond, however has been advising him on taking this business to the next level and getting the funding from a popular Crowd Funding Website. Nitroforce Industries - Frank Campitelli & Debrae Barensfeld was asking $250k for a 10% stake in their home exercise gym. NO DEAL. UniKey Technologies - Phil Dumas is looking for $500k for a 33% stake in a remote control key devise. BIG DEAL- with Mark and Kevin for the full $500k with a 40% equity in this unique product. AirBedz - Jim Pittman needs $250k for a 15% stake in His truck bed air mattress business. NO DEAL. Skyride - Scotty Olson was asking for $3 Million for a 20% stake of His $15 Million Dollar evaluation "Thrill Seeking Sky Ride". NO DEAL - But his idea on the website sure look like fun. Boot Illusions - Andrew Goodrum & Queenie Davis was seeking $100k for a 30% stake in their boot/shoe business. DEAL - Barbara gets 55% of the company for only $100k. Villy Customs - Fleetwood Hicks wants $500k for a 33% stake in his custom bicycle business. BIG DEAL - Mark Cuban and Barbara Corcoran buy 42% of Villy Customs for $500,000.00. Nail Pak - Barbara Lampugnale was asking for $50k from the Sharks for a 20% stake in her nail business. DEAL - Lori with QVC gets the deal done for $50k and 40% ownership in the company. Debbie Brooks Handbags - Paul d'Auriac & Debbie Brooks were looking for $540k for a 20% stake in the homemade handbag business. NO DEAL. Trimi Tanks - Nicole Bilsky & Lindsay Johnson wanted $57k for a 30% stake in the tank top biz. NO DEAL. Lollacup - Mark & Hanna Lim need $100k for a 15% stake in their sippy cup design. DEAL - with Robert and Mark for 40% of the business. Wild Squirrel Nut Butter - Erika Welsh & Keeley Tillotson was looking for $50k for a 10% stake in their homemade peanut butter creations. DEAL - Barbara gets the deal done on her terms which is 40% of the Brand. Cab20 Rock Band - Tom Callahan wants $200k for a 10% stake in the first Music Band on the Shark Tank Show. NO DEAL. Mix Bikini - Frank Scozzafava and Adam DiSilvestro want $50k for a 5% stake for their interchangeable swimsuit business. DEAL with Barbara Corcoran for the full $50 grand and 25% of the Mix Bikini Business. Billy Blanks Jr.'s "Dance With Me" - Billy Blanks, Jr. needed $100k for a 20% stake in His Dance Workout Video Instructors Program. DEAL with Daymond and Mark for the $100k and 50% of all the company.